If you consider the most visits on the webpages of the football clubs playing for their nations in Europe, then there will be quite a few surprises. And after acquiring data from one of the world’s biggest website, goal.com, the top clubs with the most page visits are listed below.Manchester United: United is a team that has taken the name of football titans and will be surprising the fans as the most popular team in Europe. With Sir Alex’s 26 year reign at the club, he has certainly taken the club to glory during his time by winning 12 Premier League titles. FC Arsenal: The second most popular team has got to be Arsenal and with its wonderful and hardworking players, the Gunners have proved to be simply famous. Although the team has very much been failing to pick any silverware since the 2005 FA Cup, this side still has a lot of fans to follow the club. Chelsea FC: The reigning Champions League silverware holders are the third most followed club in the continent. The club gathers players belonging to multicultural backgrounds and has become one of Europe’s most prestigious clubs. Real Madrid: It is quite surprising that although Real Madrid owns Cristiano Ronaldo, it is still ton the fourth of the list. Even if people don’t follow the club, there are a lot of people whose sole inspiration lies within Cristiano Ronaldo. Barcelona: The Spanish have quite a history with football and then they have the World’s Number One player, Lionel Messi. And the player definitely takes over the headlines from the La Liga side and most of the achievement awards are directed towards Messi every year. AC Milan: most successful club in Serie A, this club has gained a lot of popularity. And you can’t forget that the Italian’s side history has been full of success for quite a long time now. Juventus: Another club that has been gaining respect and success along with others. 28 league wins and 9 Italian Cups are the clubs record breaking achievements in all of Italian football clubs. Liverpool: The fourth English football Club on the list is Liverpool with its new manager who has took over for quite some time now has to be questioned about the clubs successes as the past successes seem to be only some things of the past. 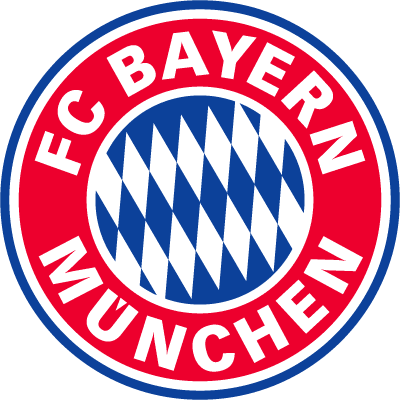 Bayern Munich: This is one of the most Elite clubs of Europe and making it to the Champions League finals last year, the club has shown a great performance this year as well. However, the World might be surprised how high this club has to go in such a short time. Manchester City: A couple of years ago, this club might have been the most popular English Club but now with its bitter rivals at the first place, Man City stands at number 10 in the list. However a lot of interest was shown when the club was taken over by Abu Dhabi United Group, but with so much talent, they have the potential to rise very much above where they still are.